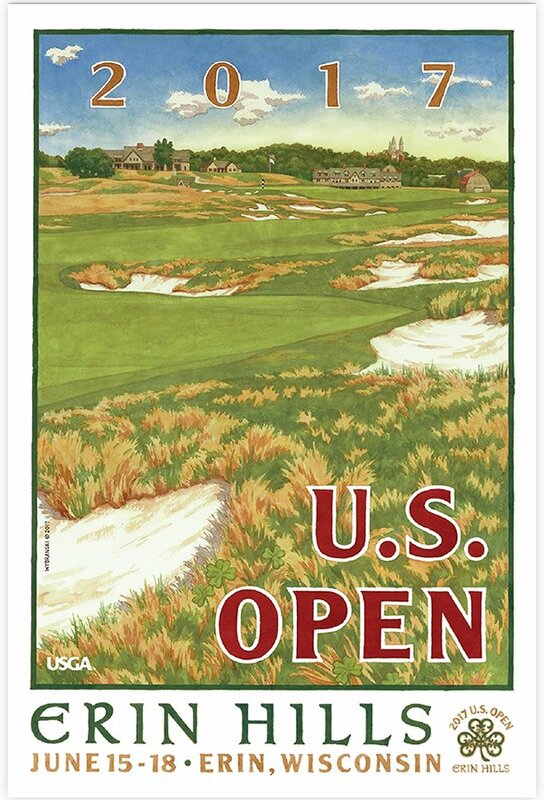 Lee’s 10th U.S. Open poster features Erin Hills, which will host the 117th U.S. Open in June and the first in the state of Wisconsin. The artwork captures the stunning 18th hole and showcases the undulating terrain of the Kettle Moraine region and the seas of fescue that help define the course. The painting includes a view of Holy Hill in the distance and will be signed by Lee.